Picture this: You walk into your grocers with a recyclable bag. You’re hosting a dinner party this weekend, and you’re picking out the freshest fish, herbs, and little ‘nibbly’ things. Once you have everything, you head to the screens at the exit that scans your face, and you leave the store without swiping a card, much less fumbling around with cash. For hundreds of millions of Chinese citizens, this retail utopia is part of everyday life. Alibaba’s Hema Xiansheng is the gold standard of retail today, where consumers are flocking to both their online and offline stores. Contrast that with Singapore’s brick-and-mortar scene and what you get is a plethora of cashless methods (does anyone even use Dash? ), slipshod visual merchandising and a tiring repetition of the same wares every other shop. As much as we pride ourselves on being a first-world country, our retail scene is still playing catch-up. But it’s not for a lack of trying. The shop owners know this, and so do the major players. In the past four months alone, three flagship stores have opened their doors to a new generation of retail. 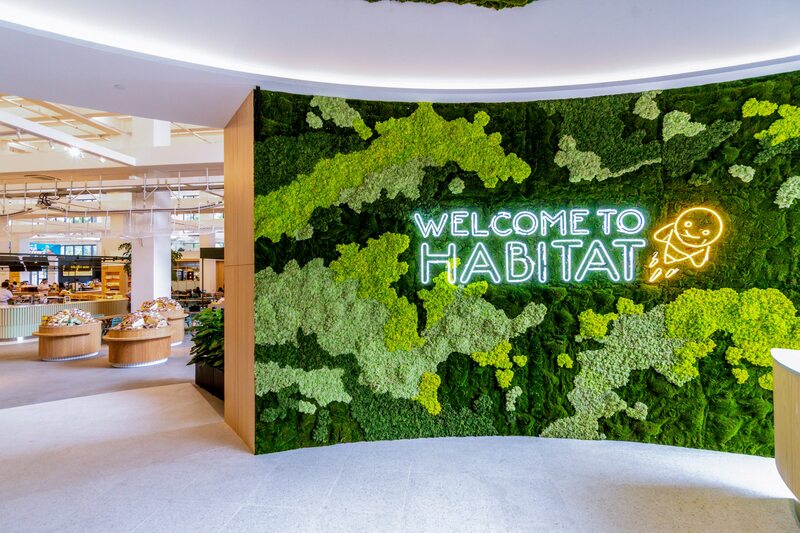 Habitat by Honestbee, NomadX, and Design Orchard all have a different customer profile, but their ideology is the same: Retail needs an experiential lift, and has to be more than a transaction. She makes a valid point in this age when we’re all conjoined to our smartphones. As much as Singaporeans love going out, we’re constantly glued to Instagram, sending out emojis on Whatsapp, and browsing through e-catalogues from Farfetch or Mr Porter even when we’re out with our posses. To compete with e-commerce’s growing market share, brick-and-mortar stores have to improvise and adapt to the demand of their consumers and embrace technology. 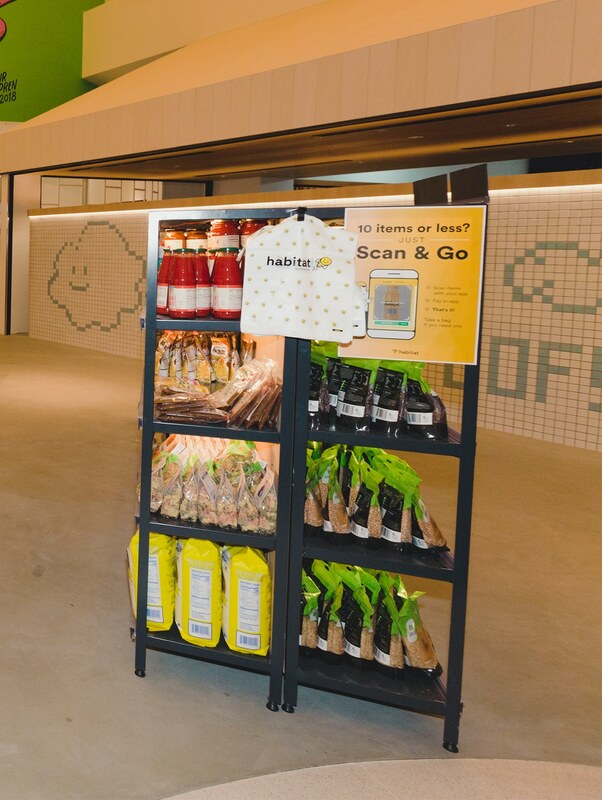 Honestbee, for example, made the unconventional jump and offered their entire inventory offline in a huge compound off Boon Leat Terrace. But unlike a traditional supermarket, waiting times are almost completely eliminated – Png thinks that queues are primitive – especially since you take on the role of both the customer and the cashier. Using the Honestbee app, you can scan your items as you pick them off the shelves, and everything is paid cashlessly. 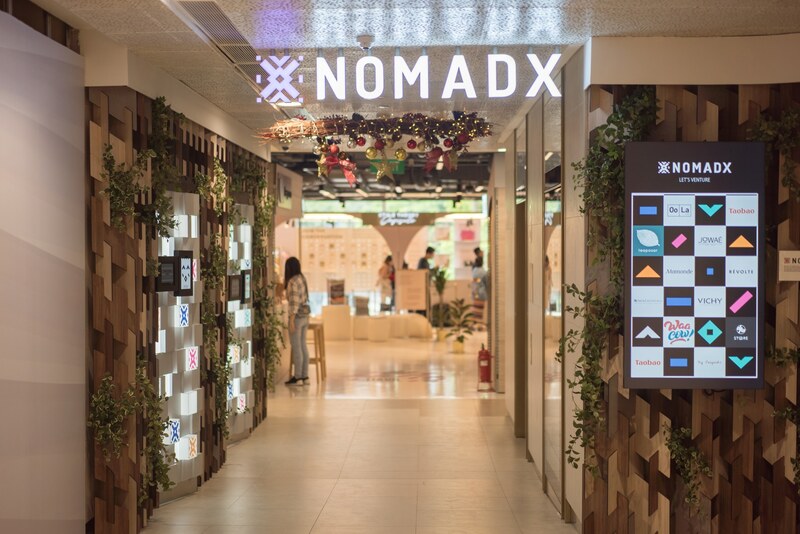 Over at Plaza Singapura’s NomadX, you pay for all your items via the CapitaStar app or NetsPay. Some stores even have fancy gizmos like smart mirrors and interactive product walls that offer information that a store assistant might not be able to. A dollar bill is hardly in sight at these retailers. Of course, it’s not all sunshine and sparkles when we look to the future of Singapore’s retail scene. As much as there are pros to the new generation of shopping, there are as many cons. The biggest advantage of visiting an actual store lies in its instant gratification. “People like it fast and instant. I see, I like, I buy,” says Andrew Tan, a veteran retail consultant who is also the founder of lifestyle stores Atomi and Actus Haus. You can touch, feel, and experience the products first-hand, not rely solely on customer reviews. There’s also no waiting in anticipation for your delivery to arrive safely and in one piece, also known as the last mile, which Tan has said is an issue that plagues all online retailers. Ultimately, there’s a lazy bum inside all of us. Convenience is e-commerce’s biggest advantage over brick-and-mortar. When Amazon Prime Now launched in Singapore, its adoption rate was fast and furious. Everyone wanted to get in on this mythical two-hour grocery delivery service. After all, why make the effort to step out of the house, drive to the supermarket, deal with soulless cashiers, and then make the drive back with all your groceries? The fact that the service costs less than an Americano at Starbucks sealed the deal for thousands of Singaporeans. That aspect of convenience is what Honestbee is championing with Habitat. “It’s a mix of using technology to remove the inefficiencies so that you have more time to be able to do more of the experiential things,” says Png. 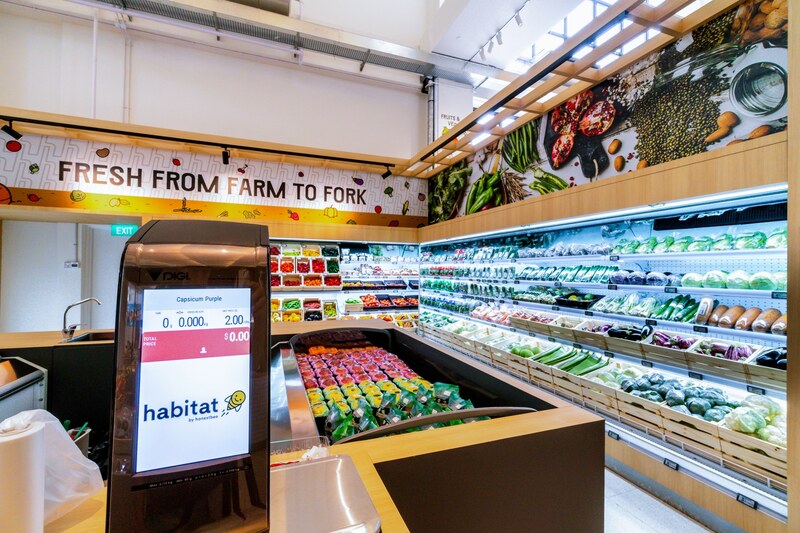 While conceptualising Habitat, they wanted the space to encourage shoppers to discover and explore the various products on the aisles. Once they’ve tried the products, they can go back home and order confidently from the comfort of their smartphones. It’s a win-win situation for both the consumer and the retailer. 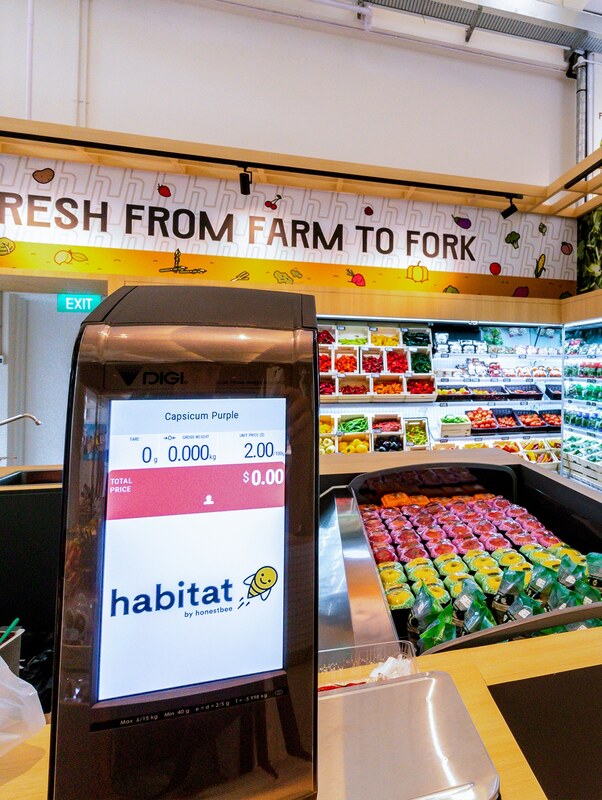 But will Singaporeans be willing to embrace this new generation of retail? Can we successfully juggle both online and offline shopping in our already hectic lives? After all, Singaporeans will just do what Singaporeans do best: grumble and bite the bullet. But before that happens, there has to be a cultural shift in our mentality to embrace the direction retail is headed towards. “It’s the educational process that Singaporeans need to go through,” says Png. We saw this same sentiment echoed over a year ago when we discussed Singapore going cashless with Silvana Carpanelli-Hayes, the founder and CEO of the e-payments app Waave. 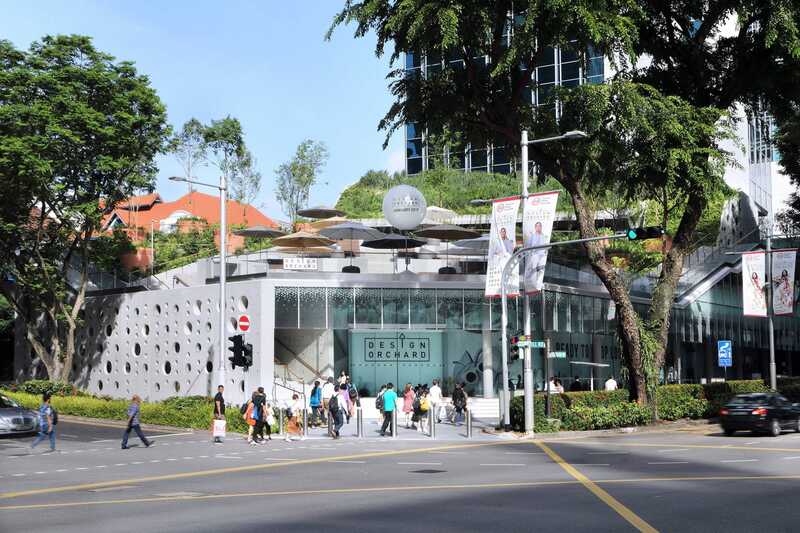 Education will play the biggest role in Singapore’s bid to become a retail utopia. Perhaps its time to break down our legacy infrastructure and the backwards notion that a street-facing shop is all that’s needed to thrive in retail. Malls like King Albert Park are struggling to make ends meet because there’s no concerted effort to promote them, said Tan. China has lead the way marvellously in this regard by making the process so seamless for everyone, including street hawkers who have also adopted the whole cashless movement. 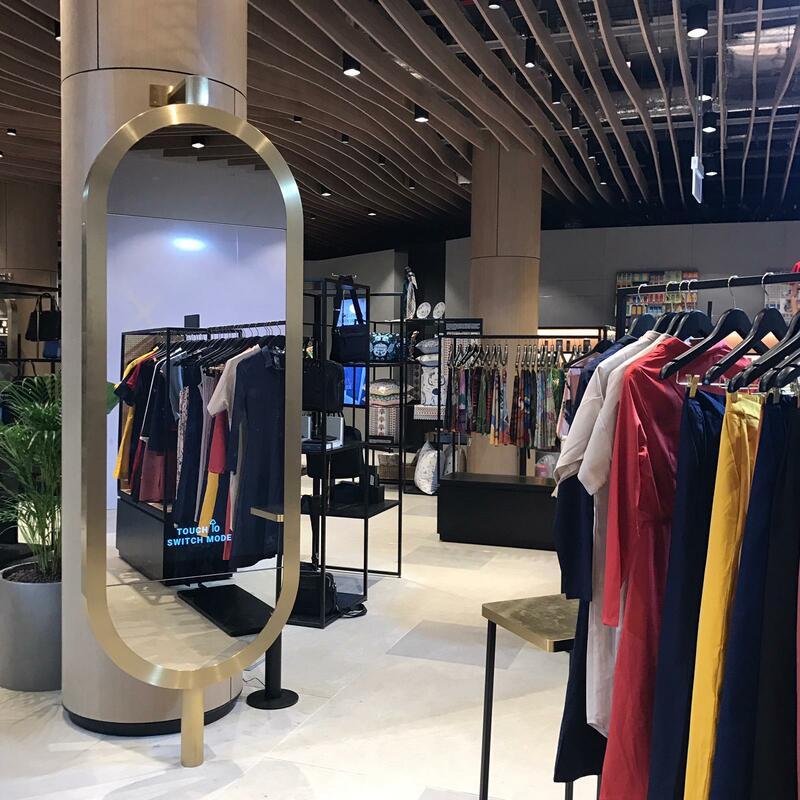 “I think China is leading the way, and it’s interesting what’s happening in Asia now in terms of us leading the way of new-gen retail,” says Png of China’s Midas touch with their retail scene. 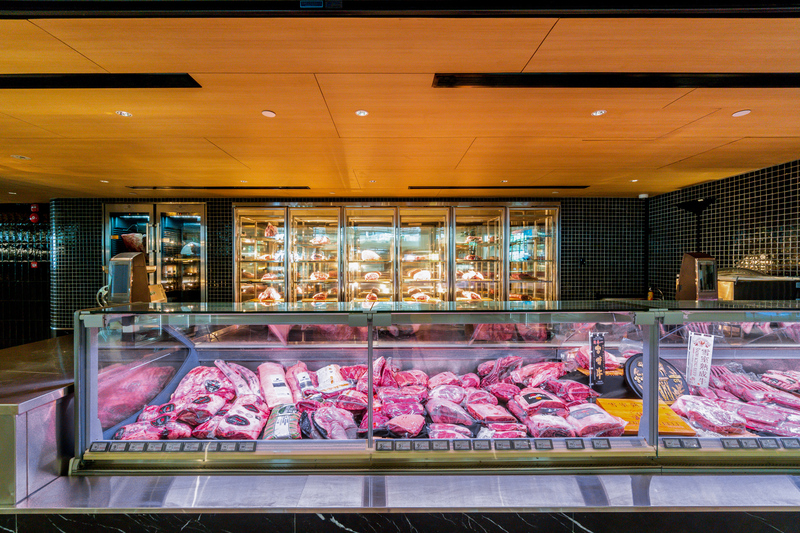 Maybe in five years, you can waltz into your supermarket with your recyclable bag in tow, take in the smells of freshly-imported truffles, ask the butcher for the day’s best cuts, and waltz right back out at your own convenience. Cashiers and check-outs will have finally left the vernacular. Shopping will be easy, breezy, and highly accessible. Malls will be back to their glory days where capacity was at a maximum, but at the same time e-commerce will complement it hand-in-hand for those who don’t have the time. “It’ll just be like the good old days of catalogue buying, except now with touchscreens,” muses Tan. The future of retail in Singapore will be the marriage of brick, mortar, technology, and a pinch of human nature infused into this polyamorous relationship. And yes, it will be absolutely worth it.